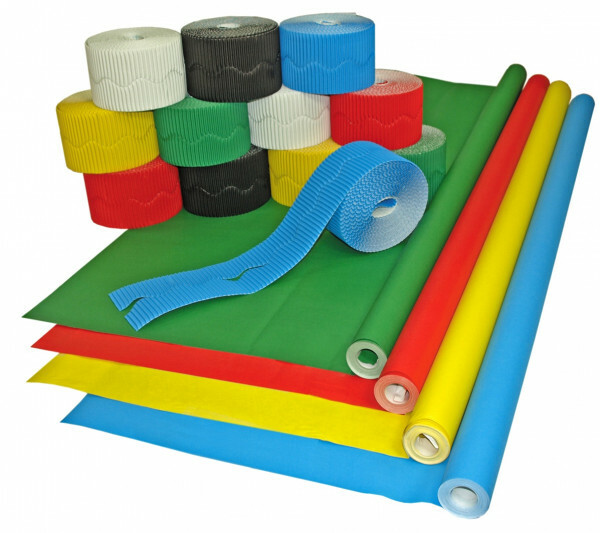 A superb combination pack of 4 of our largest Fadeless® rolls 15m long! Plus 12 rolls of Bordette® border trim. Fadeless® rolls: (1218mm x 15m) Flame, Canary, Emerald and Bright Blue. Bordette® rolls: 2 each of Flame, Canary, Emerald, Bright Blue, Black and White.